A currency is anything that is accepted as a means of payment, i.e., a medium of exchange. Money is first and foremost a medium of exchange. Except for full-bodied coin, every currency is a credit instrument. 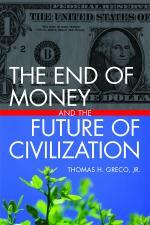 In the modern world, virtually all money is credit money — money is credit; credit is money. A currency, in order to hold its value at par, should be issued on the basis of goods and services already in the market or on their way to market, not on the basis of long-term debt (see the “real bills doctrine”). A currency may manifest in various forms, e.g., paper notes, token coins, or bank account balances (“deposits”), but the substance remains the same, credit. The credit represented in a currency is denominated in terms of some value unit, e.g., dollars, euros, yen, etc. National currencies are typically credit instruments (liabilities) of the respective national central banks. National currency units are typically undefined causing confusion between the currency (liability) and the measure of value (unit).